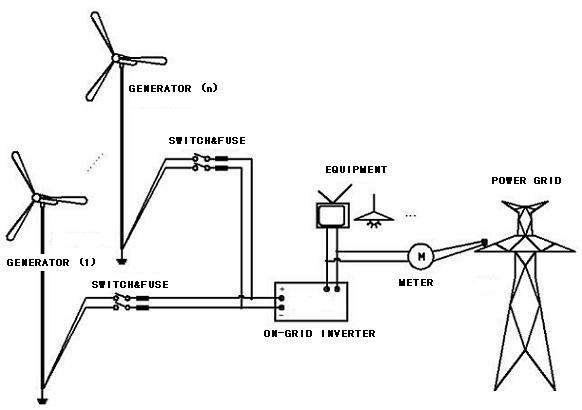 Wind turbine generates electricity, then the system supply power in AC for grid and DC/AC for lights, home appliances, electrical tools, other load. Wind turbine generates electricity, charges into battery, then the system supply power in AC and DC for lights, home appliances, electrical tools, other load. The wind powered lighting system can illuminate without city power or other external electric power. The required wind power are green and clean natural energy sources and do not bring environmental pollution. The products are applicable for road lighting, court lighting, landscape lighting and advertising lamp and so on, in both cities and villages. 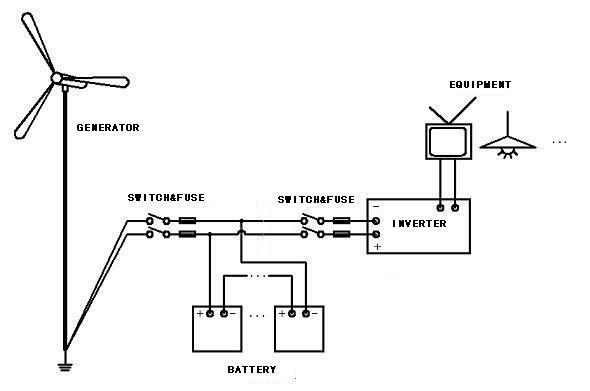 The system is composed of: wind generator, controller, lamp post, battery pack and lamp.